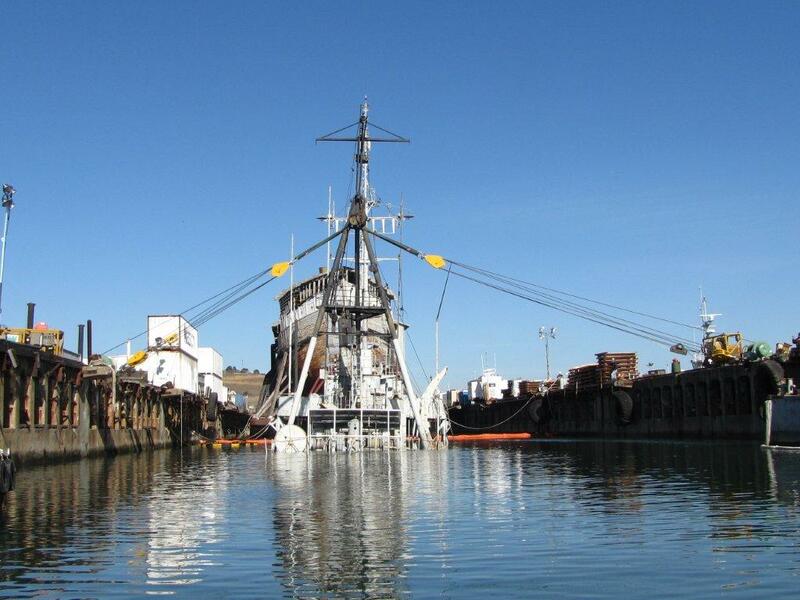 Refloating the Tug Tiger - Global Diving & Salvage, Inc.
A WW II era US Navy tugboat, formerly the USS Quapaw, now named “Tiger”, sank at her mooring in Richmond, CA on December 11, 2011. The 205 foot vessel sat in approximately 16 feet of water at low tide. 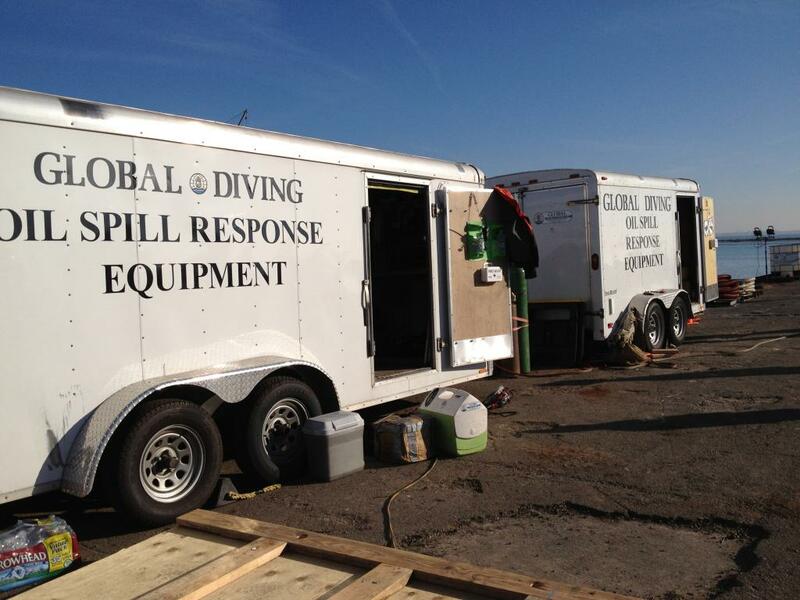 Global Diving & Salvage, Inc. was contracted by the US Coast Guard to respond to the incident. Tasks included identifying and plugging sources of pollution and containment of the leaking fuel and oils. 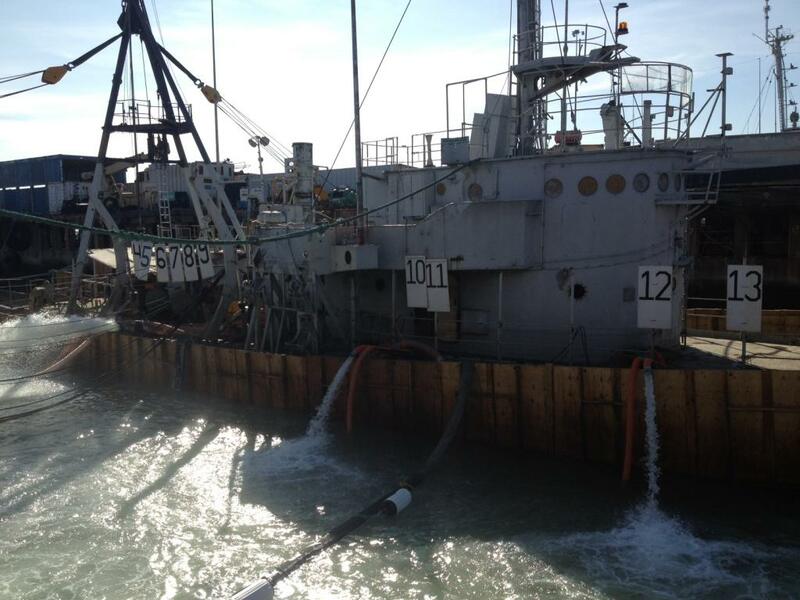 Oil containment boom was deployed to contain the released pollutants. While the pollution threat was being contained, skimmers and sorbent materials were deployed to remove oil from the water. While crews recovered oil from the water, Global and the USCG determined that salvaging the Tug Tiger would be necessary to safely remove the fuel and oil from tanks on board the vessel. The vessel sat hard on bottom, listing to starboard. 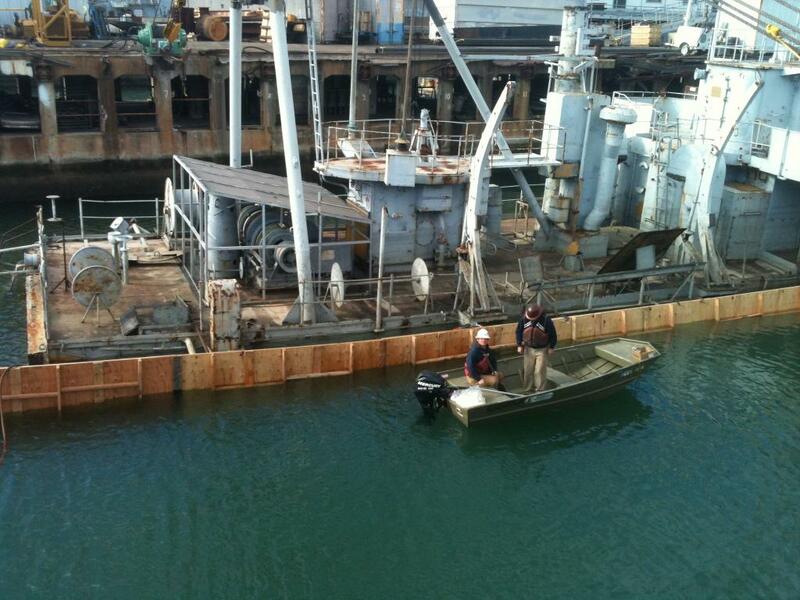 Divers performed a thorough survey of the hull to locate suspected holes in the hull and installed patches as required. 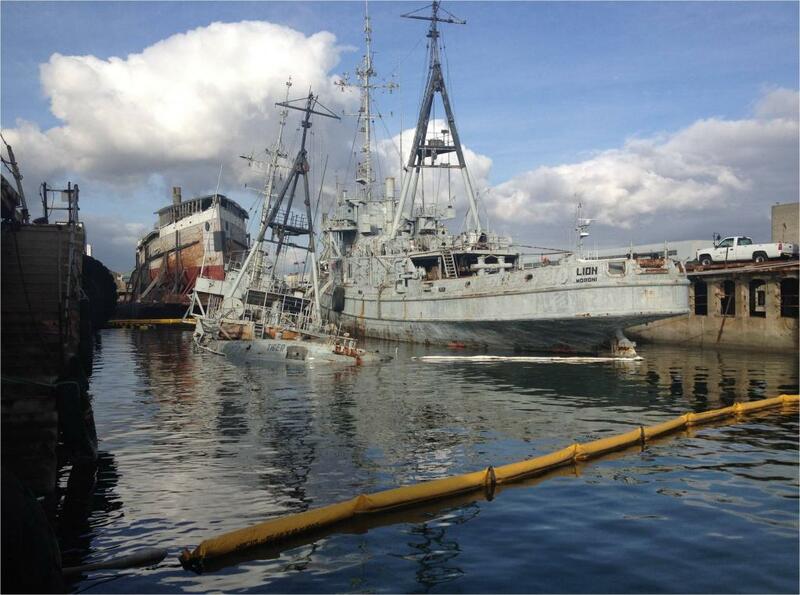 A salvage plan was developed to refloat the Tug Tiger. 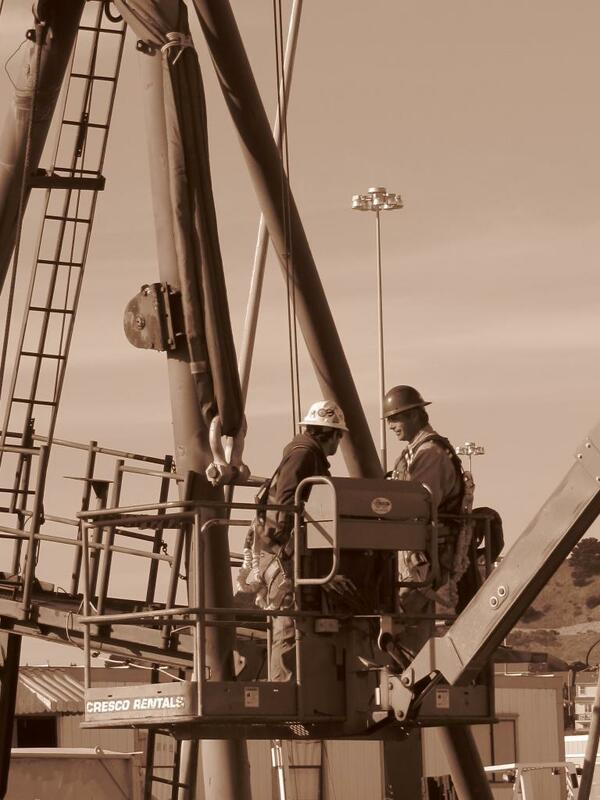 The plan involved righting the vessel with winches on each side of the pier connected to the steel mast structure. Once righted, the bow and stern would be above water at low tide. 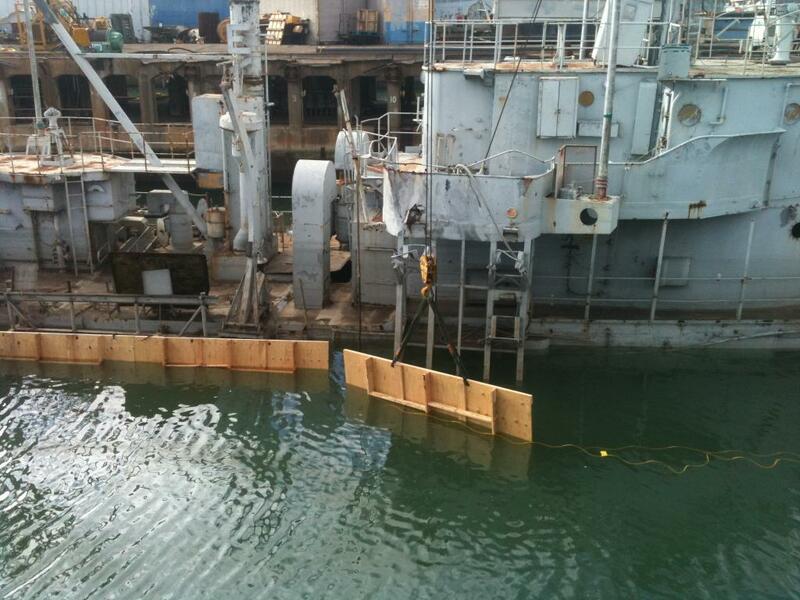 Plywood freeboard panels were installed to “raise the bulwarks” so the water inside of the vessel could be pumped out at low tide, allowing the vessel to float free. Once all of the freeboard panels were installed, 15 electric submersible pumps were placed aboard the vessel with a total pumping capacity of 20,000 gallons per minute. On February 4, 2012, when all preparations were complete and the tide cycle was optimum, the operation commenced. 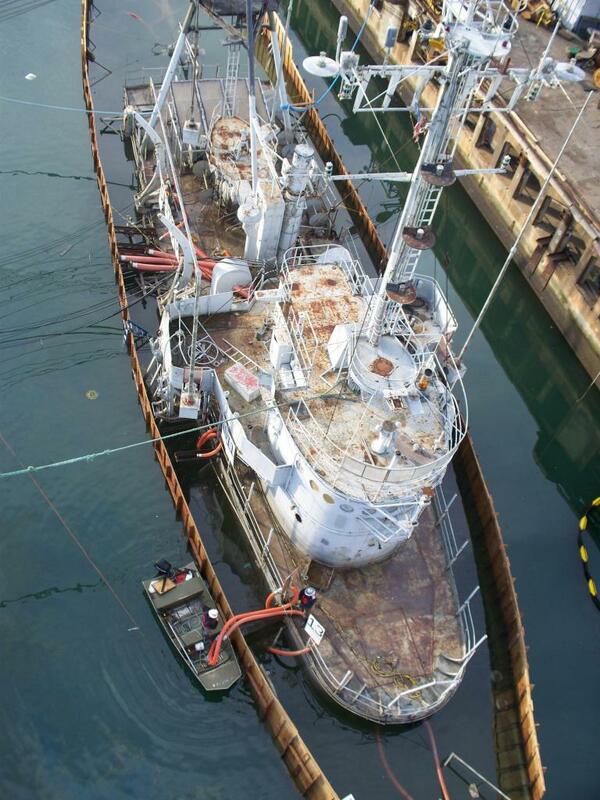 It took 6 hours to pump the water from the various compartments in the order prescribed by the salvage plan. Throughout the pumping operation, divers located additional holes in the hull and installed patches. After 24 hours the hull was completely sealed and all water was removed. Over the following weeks crews sounded all the tanks to determine the volume and content of oil remaining on board. Samples were taken from the ship’s tanks to determine oil type. The oils were categorized and then pumped out of the ship into tanks on the pier where they were stored while awaiting disposal. 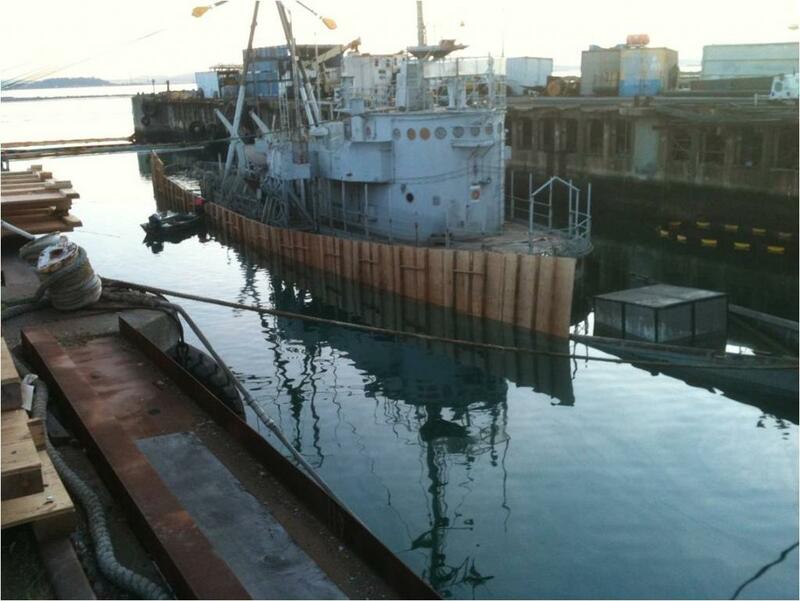 Demobilization from the Tug Tiger project was completed on March 2, 2012.